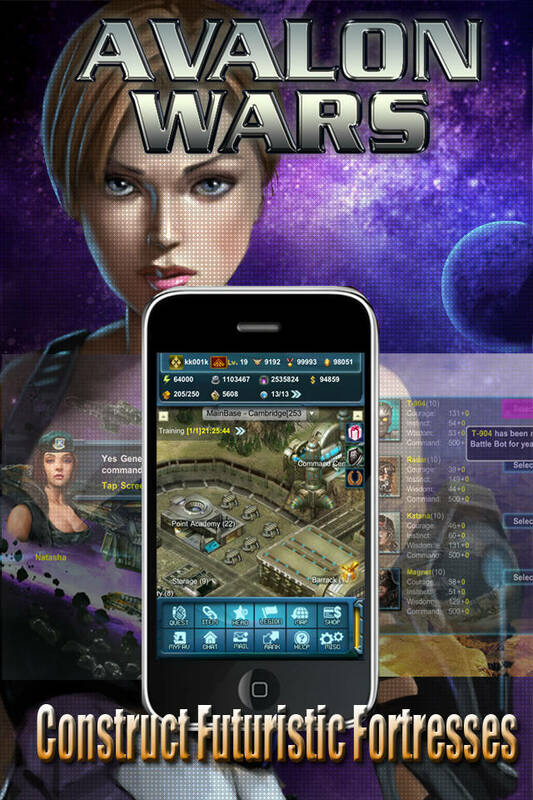 Avalon Wars is a free massively-multiplayer strategy game (mmo). It takes only 3 minutes to learn, and is extremely fun! 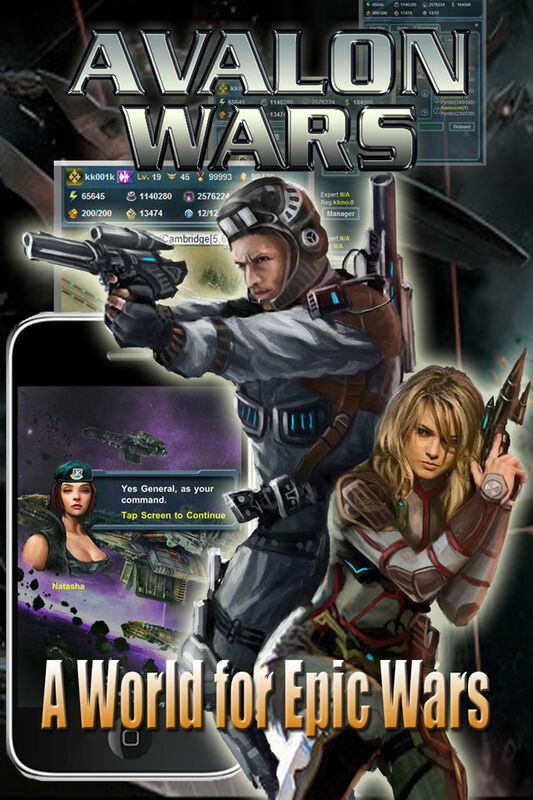 The unique beauty of Avalon Wars is that it always gives you plenty of choices – there is no 'must follow' development pattern or ultimate troops. You can decide your own favored troop combination and technology path, and achieve victories by reading your enemies and adjusting your strategies! Year 2094, with the discovery of domistal, a powerful crystalline energy form on planet Avalon, people started struggling with each other and trying to seize control over the rare elemental. Three huge interest groups emerged, the Federate, the Terrans, and the Syndicate. As a newly recruited commander, you will settle your fortress on Avalon, rally a great army of biotics, mechanics and air forces, sweep over the rigid surface of whole planet, and prove yourself a true hero on the battleground of chaos. 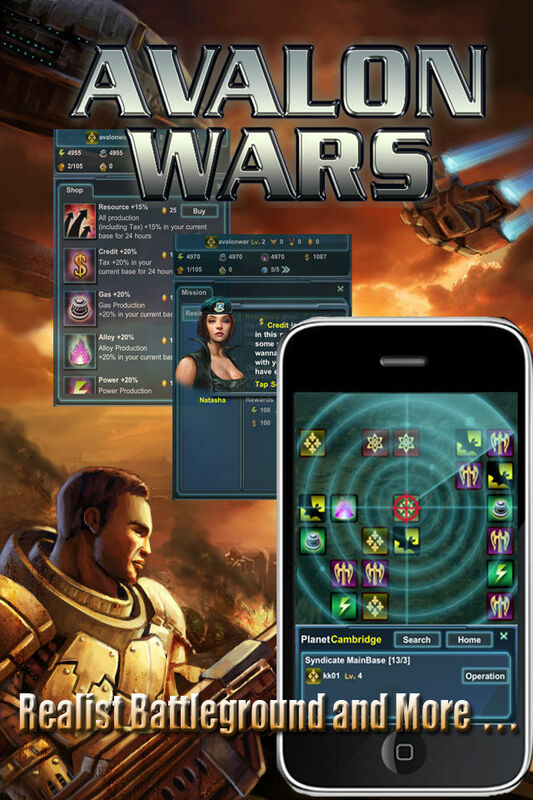 Featuring different factions, cutting-edged techs, and deepest strategies, Avalon Wars is the best science fiction strategy game you ever look for. - A well designed guide that helps you learn the game in 3 minutes. - Futuristic concept and Sci-Fi Interface. - Free to download and update. 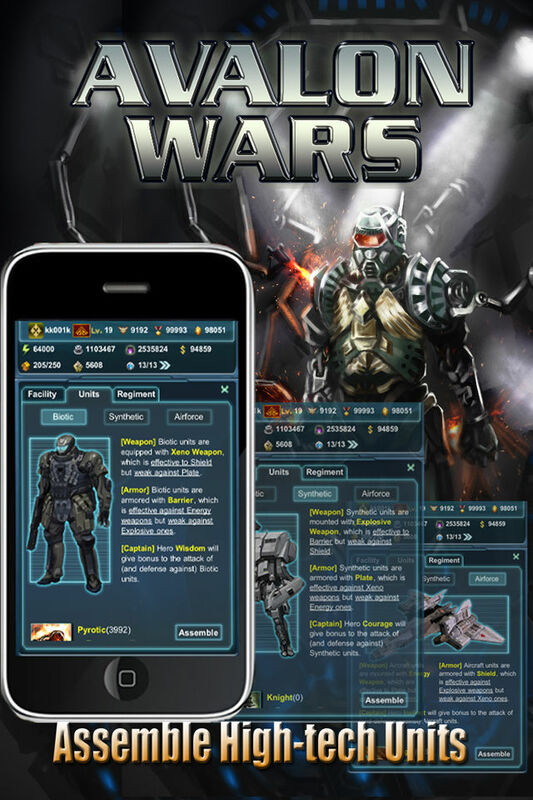 - Interaction with thousands of players. - Draggable interface with growing structures. - Three major unit types with different advantages and disadvantages. 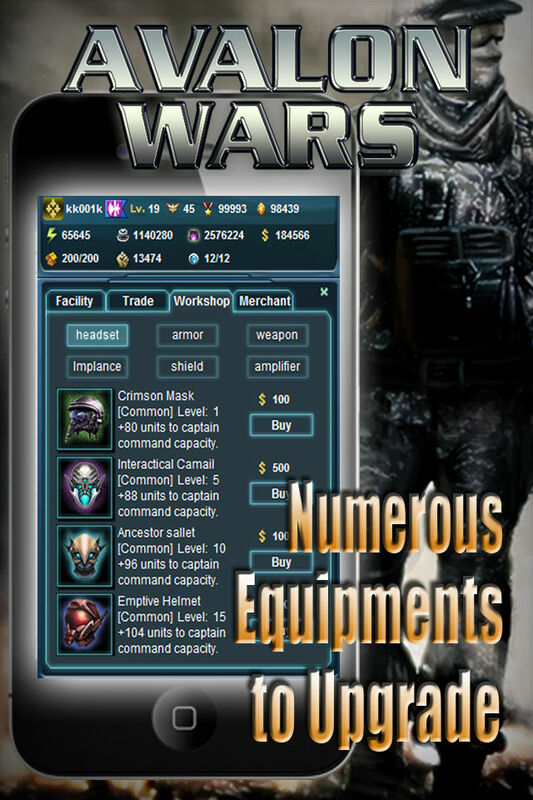 - Customized regiments with various formations of different effects. - All kinds of captains equipped with numerous items from five major categories. - Three different worlds with different environment and challenge rates. - Real time battle replay. - A sophisticated legion system.